Dock builders, seawalls and waterfront solution providers. There’s no such thing as “cheap” when it comes to repairing or rebuilding a houseboat. But rebuilds don’t have to bankrupt you. There are several things you can do to make your rebuild an affordable project, and refitting a vintage boat can be a rewarding experience for DIY enthusiasts. Check out these top ten tips for rebuilding a houseboat. Getting your hands on a beat-up boat with good bones and sound structure might be the only way you can afford to own a good-quality boat. The same concept applies to buying a home. Turn on the TV, and you’ll find tons of popular shows dedicated to fixer-upper houses. Likewise, those same shows will interview contractors and structural engineers who can sometimes pop an enthusiastic homeowner’s bubble. If the house doesn’t have good bones and isn’t structurally sound, it’s a poor investment. But if your houseboat has good bones, there’s a good chance the sweat equity you put into the project will pay off. When looking to purchase a boat for rebuilding, look for ones that have more cosmetic issues that need to be repaired and restored, and pass on boats where the engines, plumbing, and electrical systems are all shot. These will be the most costly boat repairs that will require you to hire an experienced and reputable contractor. Remember too that the size of the boat will also be a huge factor in how much time and money it will take for to rebuild. Bigger isn’t always better. Have some degree of repairing and building skills. For more extensive repairs like plumbing or electrical work, you might need to hire out for those jobs. But even undertaking easier fixes is difficult for people who are complete beginners. Even something that seems as simple and straightforward as painting takes specialized knowledge and planning. If you’ve never repaired or rebuilt a houseboat or a home before, team up with someone who has so your time commitments, and sweat equity pays off once you’re finished with the project. Get a cost estimate before you buy. If this is your first time attempting a houseboat rebuild, get a cost estimate up front before you purchase the boat. 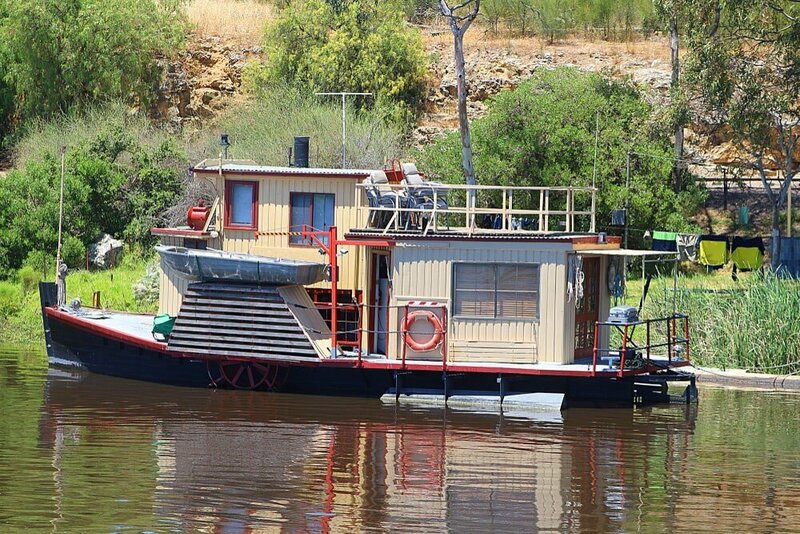 It’s important to stay within budget for something as extensive as a houseboat rebuild. On a related note, it’s wise to acknowledge your limits. Hiring out repair and rebuild jobs that you don’t know how to do yourself will save you a lot of trouble and cash in the end. This is where most people who attempt to rebuild a houseboat go wrong. If you’re new to restoring, you might think you’ll be able to continue working fulltime and pay for your project with your weekly paycheck leftovers. The thing is, rebuilding a houseboat isn’t cheap, and if you work full time, there’s no way you’ll be able to do most of the work yourself. For the majority of houseboat rebuilders, sweat equity will contribute to less than half of the total project. The rest of the repairs will need to come from professional contractors, who can be costly. Planning your houseboat rebuild project is vital to the success of your project. One of the most common mistakes people make when planning an extensive project like this is they will attempt to fix cosmetic issues first, before tackling the mechanics of the boat. You don’t want to put lipstick on a pig. Another factor that can make or break this project is estimating the time it will take to complete the rebuild. Keep in mind that it typically takes more time to undo something that it does to restore it. Often, rebuilding a boat takes longer than building a boat. When it comes to rebuilding, you have to clean up a mess before you can even get started on restoring. Painting, whether it’s a boat or a house, will freshen up any tired, old facade. Refreshing the boat’s gelcoat finish requires a urethane paint, which can be expensive. But that depends on the size and the design of your boat. A boat that has an open or express layout will cost less to paint than a fly-bridge sedan. Vessels with simpler designs will also require less time and money to paint than boats with more cluttered designs, where you have to remove or tape off certain elements. There’s a significant cost difference between replacing, versus rebuilding a boat’s engine. For example, you can reconstruct a pair of gas engines for around 8K, but replacing them will set you back 22k, plus the installation costs. That’s a difference of more than 67%. If you have to replace the engine, avoid this mistake. Putting in a bigger, more powerful engine won’t necessarily improve your boat, and it could damage it. Before you replace an engine, you need to consider what power level your boat was originally designed and intended for. Putting a bigger, more powerful engine than the boat can handle can cause structural damage. Research your boat thoroughly before you give it a new engine. Consider the resale value versus the refit cost. Sometimes, the math doesn’t add up. After you get a reasonable cost estimate, you need to consider how much the boat will fetch once you put in all the necessary repairs. Boats that are classics, such as the 31 Bertram, will tend to fetch a reasonable resale price after you rebuild and repair them. Stylish boats with character and appealing features also command high prices once they are refitted. Extensive projects like refitting a houseboat are not for the faint-hearted. But for those who have the stamina for it, refitting an old houseboat and turning it into a stylish and beautiful home is a rewarding experience. Yet another website by Max Francisco - Digital marketer based out of Fort Lauderdale, FL.